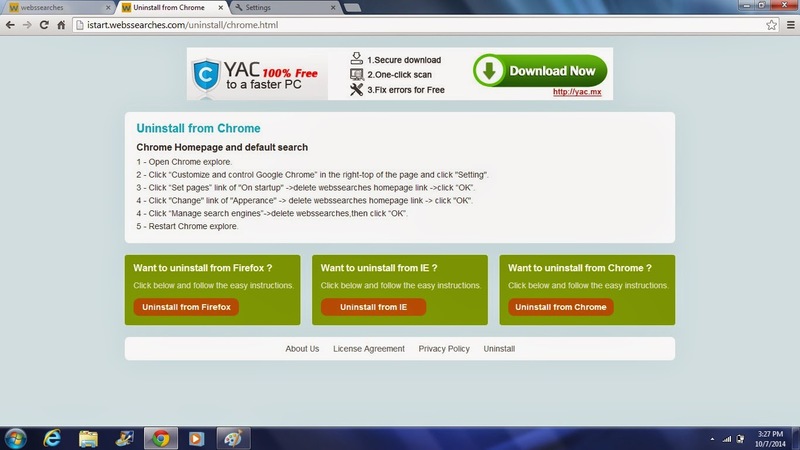 I encountered this problem on the laptop of my friend which she manage to let fix the annoying default Webssearches search engine on Google Chrome browser. This also causes me a quick headache when I’m in the midst of trying to avoid http://istart.webssearches.com and tweaking possible options just to get rid of this. I even followed the provided uninstall option provided on the left corner below the Webssearches web page but still it doesn’t fix the issue. To make this story short, I downloaded free and useful software named AdwCleaner. Using this is pretty simple and basic, all you have to do is download and install the software on the infected PC then scan. After I scanned the laptop, I just click the clean button then that’s it. Goodbye Webssearches! After successfully cleaning the file, this will prompt you that your computer will restart to complete the removal process. Wait ‘til your computer restart then login. 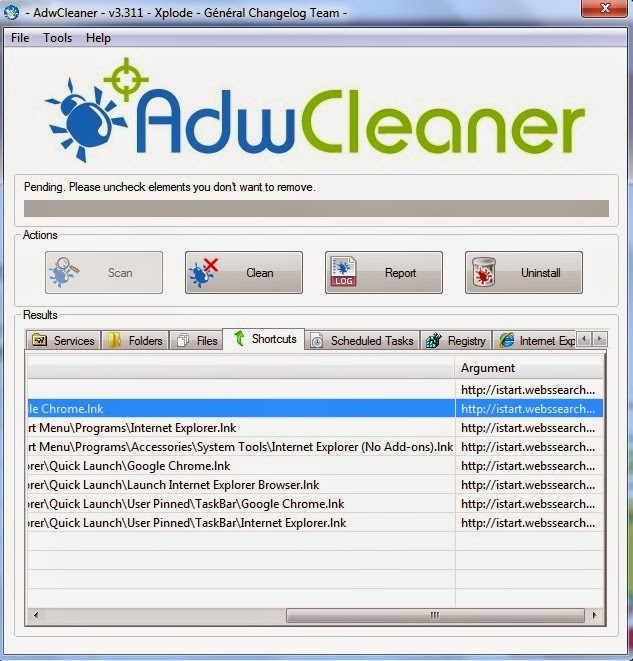 It will prompt you with a notepad log from AdwCleaner informing you on what was cleaned on the earlier process. That’s all, hope it helps you also.